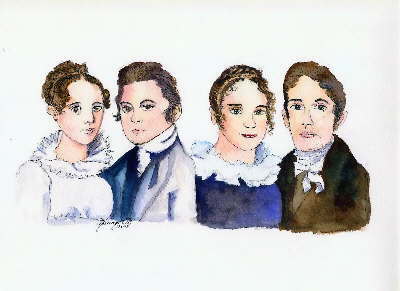 In 1820 the Brig Thaddeus arrived in Waimea with missionaries that had been sent by the American Board of Commioners for Foreign Missions of the Congregational Church out of New England. 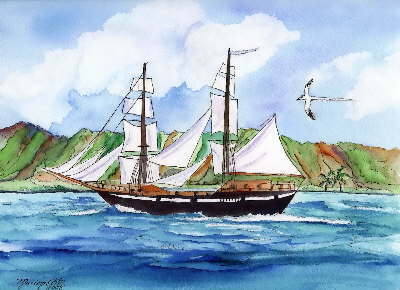 This was the first mission to Kauai and one of the first three missions in the entire State of Hawaii. 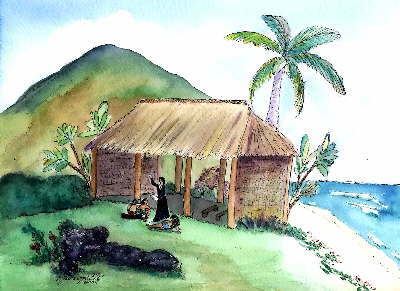 Then King Kaumulaulii granted the missionaries property on the south side of Waimea River for a church and school. 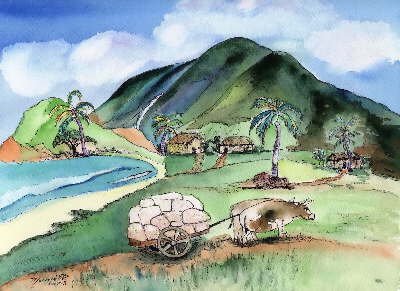 There was enough land that the missionaries could also grow their own food. 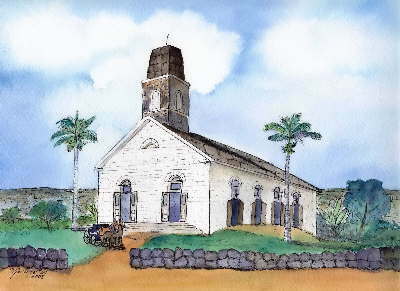 In the 1830's construction began on a new church structure on the north side of the Waimea River. The land was given by Governor Kaiokaewa and is the site where the present stone church stands today. Reverend George Rowell was the chief architect and builder of the church. Limestone was moved from a ridge about a mile away by oxcart and was cut and stacked by local labor to build the walls. 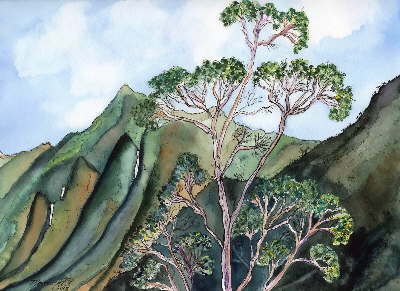 The timber was hand cut from ohia lehua trees up in Kokee and dragged down the mountains and floated in the sea to get rid of insects. The exterior of the church was coated with crushed coral that had been fired in a limekiln. 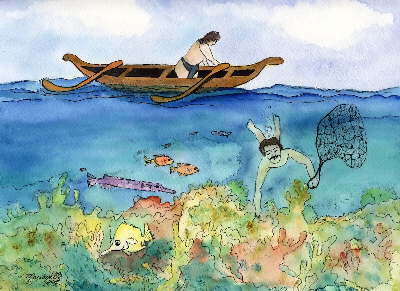 Local divers brought the coral up by hand and loaded it into canoes. The original color of the church would have been a brilliant white. The interior was completed in Victorian style. A bell cast in Boston in 1836 was placed into the tower. The inscription reads from Psalm 100: E hele mai imua o kona ale me ke oli ana i ike oukou o Jehova oia no ke akua (Come before His presence with singing that you may know Jehovah is God). This bell is still rung every Sunday, calling the faithful to worship God. The first worship service was held in 1854 when only the walls and roof were finished. The church was nearly completely destroyed in 1992 by hurricane Iniki. The award-winning restoration was faithful to the original records of construction, reusing as much of the old materials as possible. The mission and ministry of this historic church continue to be blessed by Christ. Artwork by Marionette. Copyright 2008.